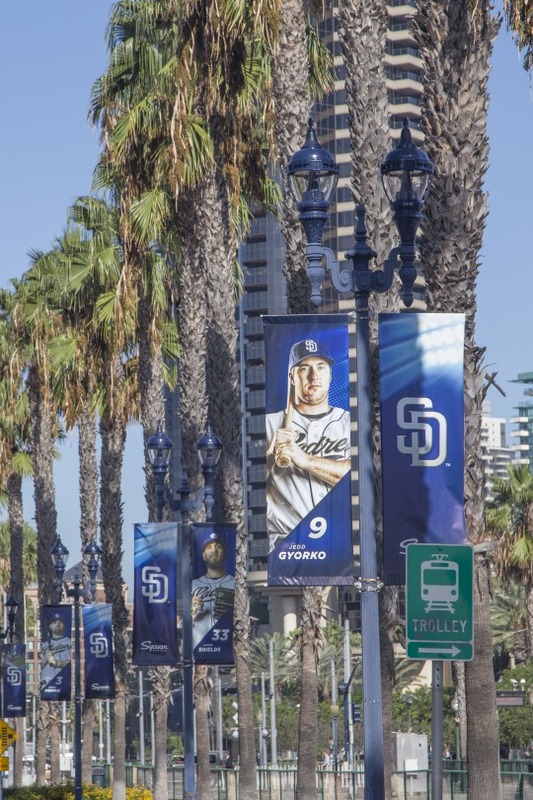 In 2014, the City of San Diego worked with GE on a deployment of LightGrid, a wireless system that can remotely assess and control 3,000 streetlights throughout downtown neighborhoods of Little Italy and the Gaslamp District. Intelligent lighting systems were envisioned by the city to help reduce congestion, share information about free parking spots, locate bike and pedestrian lanes, give the police and paramedics real-time viewing and send environmental alerts. City of San Diego used/is using intelligent lighting to address this/these challenge(s). The lights are equipped with sensors and software that pulls parking and other data for real-time analysis into a cloud-based platform enabling the city to make smarter planning decisions. In addition, it captures everything temperature and humidity, to gunshots. 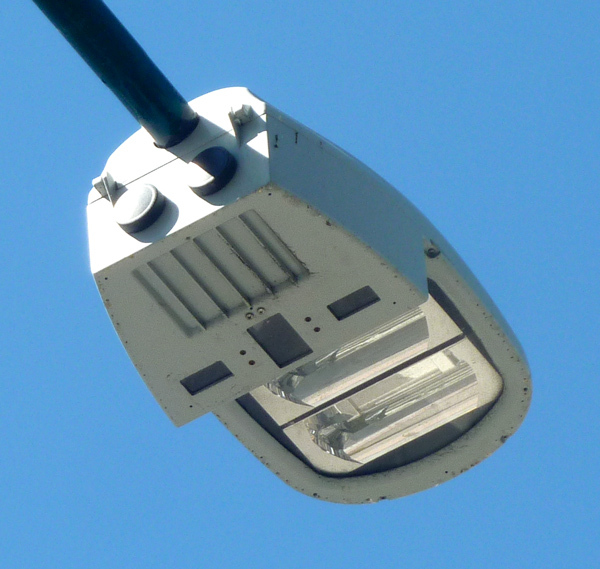 The sensors work by monitoring an oval area of roughly 120 to 180 feet around the pole. 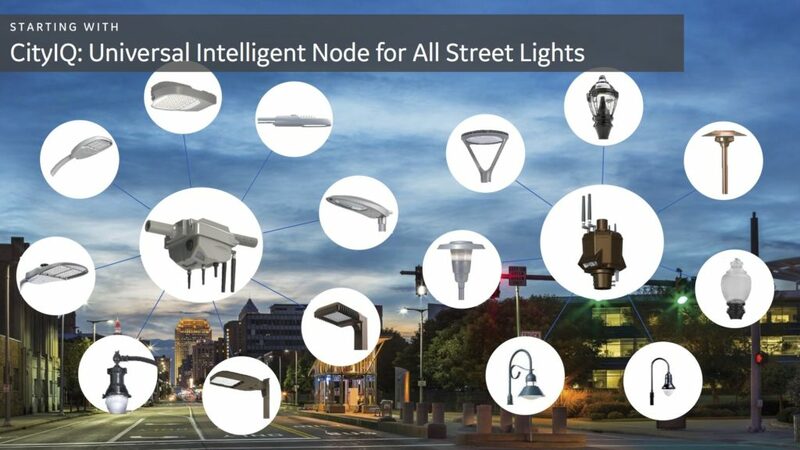 This was the first intelligent lighting application in the US and is now being built upon with a 2017 announcement of a $30 million investment with GE's Current to transform the city's entire street lighting system to energy-efficient LED lamps that can communicate with one another. Also, San Diego is encouraging its local developers to use publicly available data from the streetlight by sponsoring hackathons. Already there is a “digital cane” app using traffic and location data to help visually impaired people cross the street; and an app that allows food truck drivers to find locations with available parking spaces and a history of high pedestrian traffic. The city is saving 60% of the cost of powering the city's lights - that's more than $250,000 a year in reduced electricity and maintenance costs. Over the next 13 years, savings will more than cover the hardware and cloud-computing services required for the streetlight IoT. Not only is the data improving real-time decision making, the city also expects the data will help them learn which intersections are the most dangerous and need to be redesigned based on information on near misses, not just the accident data. It’s a whole new way to improve pedestrian safety! Cities that are looking to upgrade to LED streetlights, and have the capacity to manage and use data to improve decision making.